Head, International Centre for Veterinary Training and Information. Istituto Zooprofilattico Sperimentale dell'Abruzzo e del Molise "G. Caporale". She started her carrier as journalist, working four years in local TVs. Head of the Training Unit at the University of Teramo | UNITE. 2002 Head of the Training Unit. 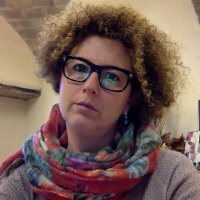 She studied and practiced scientific journalism at the Libera Università degli Studi Sociali (LUISS) in Rome, technical reporting at the University of Colorado, Communication of Public Administration at the US Department of Agriculture, and Food Safety Systems Leadership at the University of Minnesota. Graduated in Law at the University of Teramo. Experience in risk communication, but the core expertise is on adult learning processes and knowledge management and dissemination. Responsible for technical and management training and knowledge based projects delivered traditionally and at distance and address web based communication and training initiatives in the framework of international research and assistance projects in veterinary public health.